We\'ll post your music project on our website (song, video, mix-tape etc.) and give it an honest review. Our website is growing exponentially daily. With over 10,000+ dedicated monthly viewers your project will get the shine it deserves. \r\nWe know how hard the music processes can be, collectively we have produced over 100+ tracks ourselves & worked with a variety of extremely talent artists. 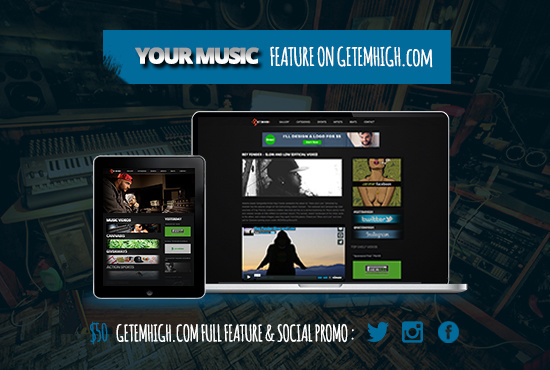 \r\nIf we like your music we will use th $5 to promote it on our FB & Instagram page too (@getemhigh). We love new music & can\'t wait to review & post your project.